AG's Office Told Lawmakers It Isn't Investigating Flagged Voters. It Told A Local Official It Is. 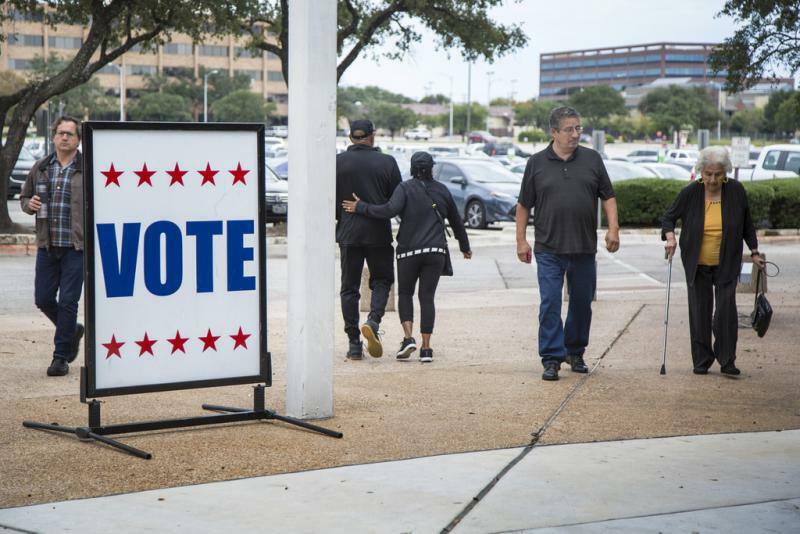 Attorney General Ken Paxton's office has made conflicting statements about whether it has opened a criminal investigation into voters flagged for a citizenship review. 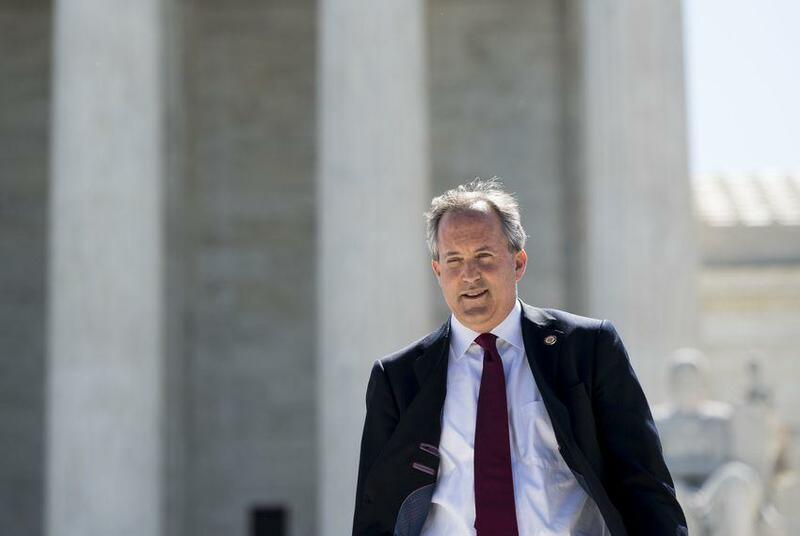 Texas Attorney General Ken Paxton assured lawmakers on Friday that his office hadn’t launched criminal investigations into nearly 100,000 voters flagged by the secretary of state’s office for citizenship review. But email correspondence obtained by The Texas Tribune between an assistant county attorney and a Paxton deputy who cites "pending criminal investigations related to these issues" appears to contradict the attorney general’s claim. The two opposing statements were put into writing within a week. Paxton made his assurance in a letter received by the Senate Nominations Committee, which had grilled Secretary of State David Whitley a day earlier over his decision to hand over to the attorney general’s office the list of voters whose citizenship he was questioning. Whitley’s confirmation is in doubt, in part because of questions from Democrats about whether he knew there were naturalized citizens on the list but referred the names to the state’s top prosecutor anyway. Paxton wrote that it would “not be possible to investigate tens of thousands of [secretary of state] matters” before local voter registrars had reviewed the lists they received from the state. “We plan to begin our investigations only once some counties have completed their list maintenance,” Paxton said. 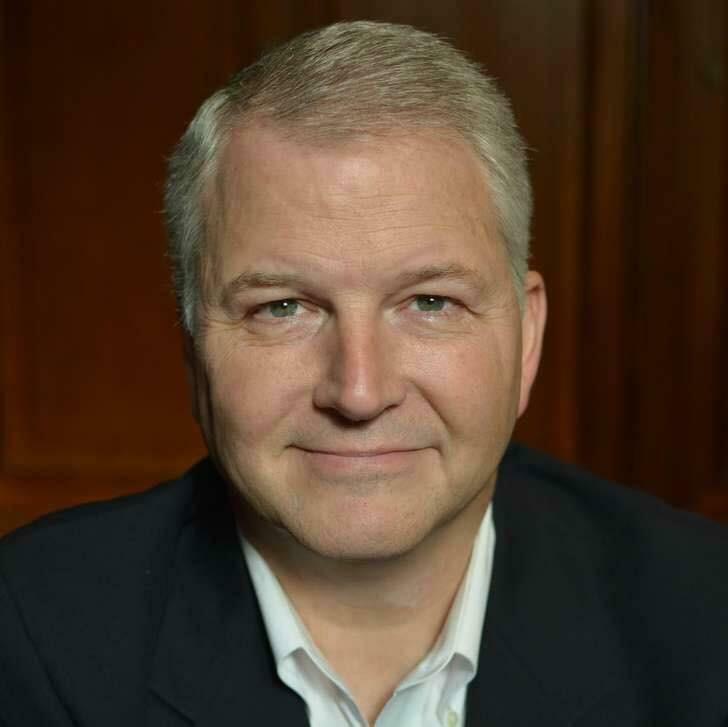 Downey’s statement was in response to a question from the Guadalupe County official, Robert Etlinger, about how best to respond to an open records request for the names of voters on the list the county received from the state. Etlinger pointed to an email from Keith Ingram, the elections director for the secretary of state, in which he advised counties to reach out to the attorney general’s office for guidance on withholding data that the office considers “law enforcement information.” Documents being used in criminal investigations typically are exempt from open records laws. “At this time, there is no pending criminal case against anyone and in light of opinions I have received in the past from the AG, it’s pretty clear to me that to assert that exception, there has to be a pending criminal case,” Etlinger wrote. But by classifying the review as a pending criminal investigation in the email to Etlinger, Paxton’s office appeared to make it more likely that the list could be hidden from public view. 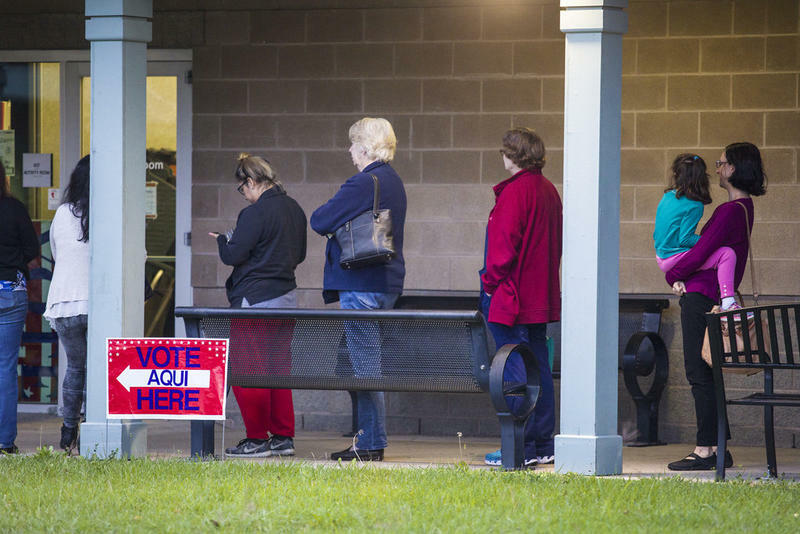 Guadalupe County originally received a list of 251 voters from the state, but half of them were cleared after the secretary of state’s office circled back to inform the county that those individuals were U.S. citizens who were mistakenly included on the list. Last week, the county’s election administrator, Lisa Adam, told the Tribune her office was carefully reviewing the remaining names but had not sent any letters demanding that the remaining voters in the list prove their citizenship. The letters would trigger a 30-day countdown for people to confirm their citizenship status or be tossed from the rolls. In her response, Downey — who serves as a public information coordinator for the attorney general office’s — said her office would “submit arguments to assert the law enforcement exception” on behalf of their office if Etlinger wanted to seek a ruling to keep the data from being released. The attorney general, who serves as the state’s top law enforcement official, also oversees the office that handles governmental requests to withhold public information. A spokeswoman for Paxton did not respond to a request for comment Monday. Among Paxton’s assurances to lawmakers was the promise that “justice means charging and prosecuting only if the facts show the person committed the offense.” But Paxton also made clear that the delay in initiating prosecutions against voters was largely due to a lack of resources. “Our undersized Election Fraud Unit was experiencing a backlog of over 80 complex cases even before the SOS notification,” he wrote. During Whitley's confirmation hearing, the governor’s nominee to be the state’s top election official defended handing the list of registered voters to the attorney general. Whitley held firm in his reasoning while conceding that he was aware the list could contain mistakes. He repeatedly waved off Democrats’ questions about the erroneous inclusion of tens of thousands of U.S. citizens on the list. Whitley has faced intense scrutiny over the citizenship review effort. On Jan. 25, Whitley announced that his office had compiled its list of 95,000 voters. Those on the list had indicated to the Department of Public Safety that they were not U.S. citizens when they obtained a driver’s license or ID card. But within days, it became clear the list didn’t account for people who became naturalized citizens and registered to vote after obtaining those IDs. The secretary of state’s office quietly informed county officials it had erroneously flagged thousands of people who had registered to vote at DPS offices and proved they were citizens. Local officials then said they had identified individuals on the list who registered to vote at naturalization ceremonies. Other citizens who were flagged have confirmed publicly that they became naturalized citizens after obtaining their driver’s licenses. On Monday, Ingram — the secretary of state’s elections director — confirmed what Whitley wouldn’t. 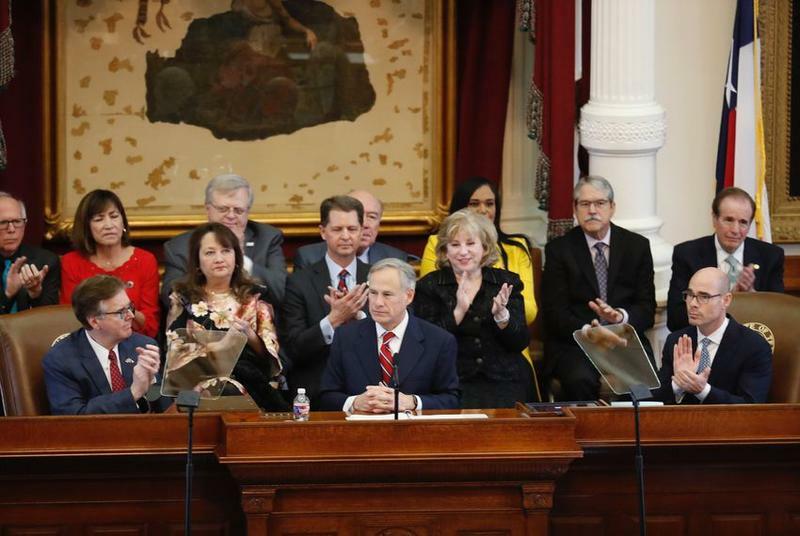 Testifying before the House Elections Committee, Ingram acknowledged that the secretary of state’s office knew the list of voters it was sending to counties for citizenship reviews likely included naturalized citizens. “We understood there was a significant possibility,” Ingram said. 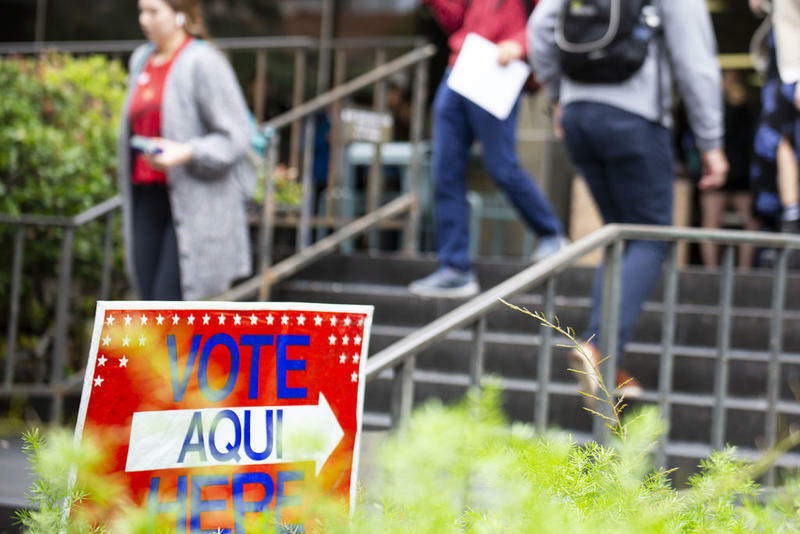 Texas officials are taking a step back on their claim they found 95,000 possible noncitizens in the state's voter rolls. They say it is possible many of the people on their list should not be there. 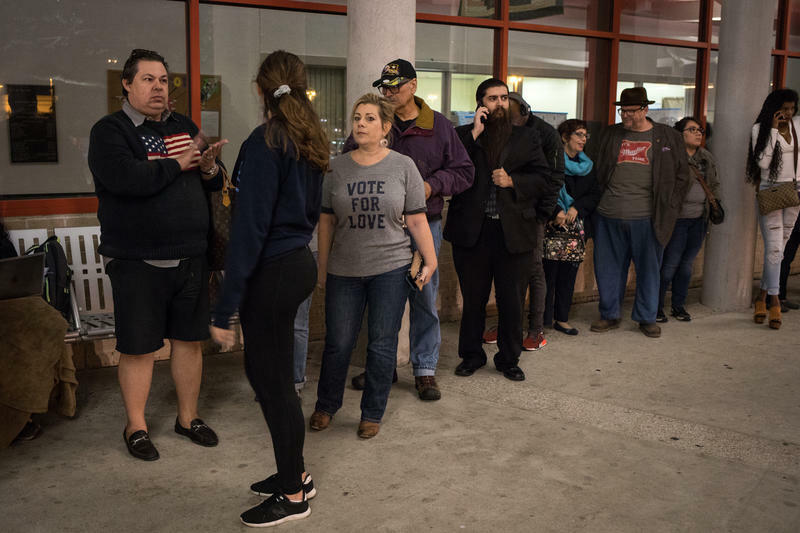 In a statement Tuesday, the Texas Secretary of State's office said they "are continuing to provide information to the counties to assist them in verifying eligibility of Texas voters." "Unidentified: How Kids Can Age Out Of Texas Foster Care Without Documentation" is a series of reports from Texas Standard about the lack of needed identification documents among Texas foster youth. In "Unidentified," one foster mom described the crucial role played by her children's attorney ad litem in getting their documentation. That attorney ad litem no longer works in that role. Maya Guerra Gamble is now a judge on the 459th Civil District Court in Travis County. She says persistence was a key ingredient in her success representing foster youth. "Some of the documents, like a birth certificate, can be very hard to come by," Guerra Gamble says. 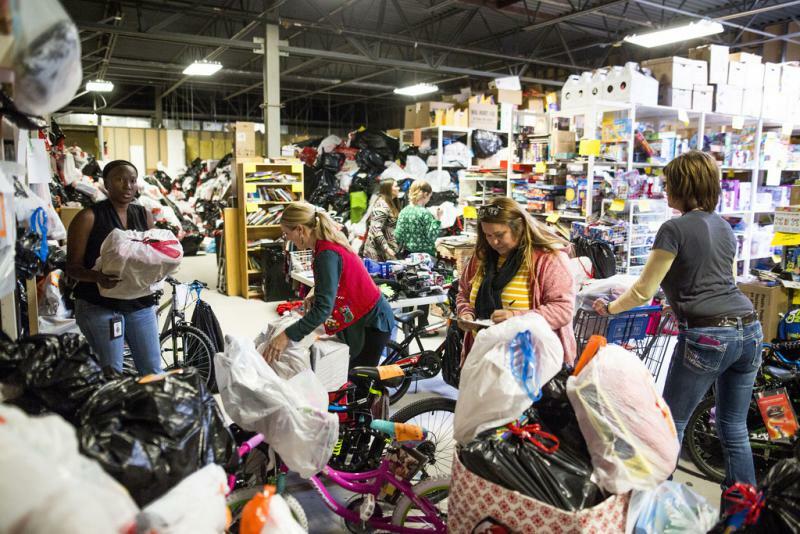 "When children show up, their parents may not have any of their documentation." The GOP in Texas will face greater challenges in 2020 than it has for many years. Sen. John Cornyn and party Chairman James Dickey have acknowledged the problem.